Joanne and I went to hike the slot canyons today, about half way down the agile In The Rock Road. When we got there there was a steep rock face that you need to climb down after a 4' drop and it wasn't safe to take her dogs, so we opted to drive back to RT12 and head east a few miles to Calf Creek Falls where we knew we could hikevwith the dogs. 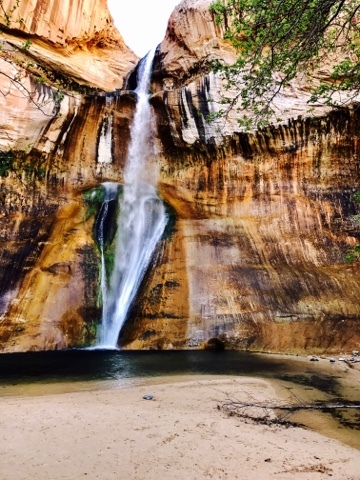 I'll start you off with the beautiful waterfalls that you are treated to after hiking 3.2 miles. I was able to get this picture with no one in it even through it was well visited the day we went. 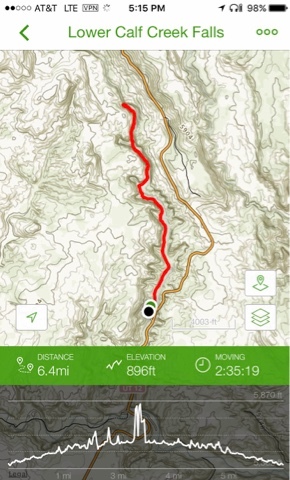 At 6.4 miles round trip and nearly 900 foot elevation it was a good hike with significant vertical gain. Joanne is a bit more observant than me often pointing out things before I see them, or should I say if I see them. Above she commented in the vertical stripes and how they look like a pattern you would see on a shirt. Then I capture her suggestion to share on my blog. 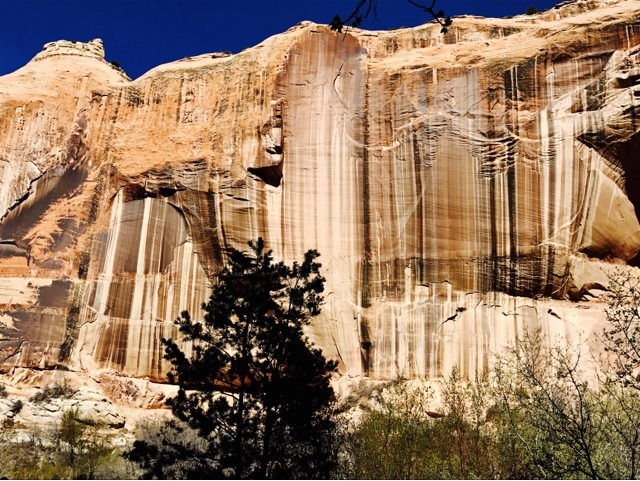 As with all the hikes here in the Grand Staircase - Escalante, there is more wonderful rock formations than I can put in my blog. 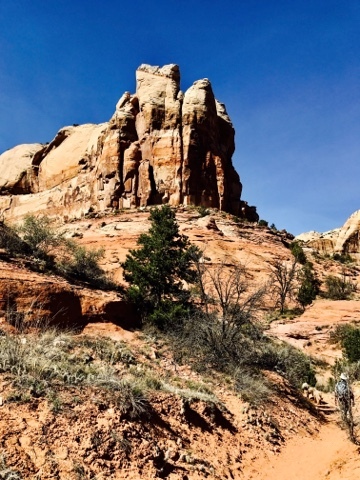 If you come here this hike is a good strenuous hike that is also kid friendly as well as dog friendly. Both the dogs and the kids appreciated playing in the water. 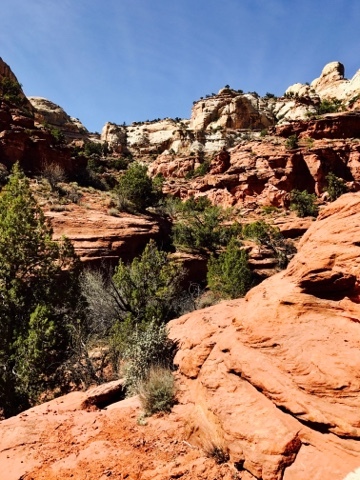 This is one of the more popular hikes in the area and there is a park fee. With my National Park Pass I do not have to pay.